After watching another video from Jennifer Mcguire (yes I know, I watch them all! LOL), I decided to try a foiling technique she showed and thought I’d share the results with you guys! Many of the members of our facebook group were asking about this technique so hopefully this will answer any questions you may have. Let your machine heat up, it says for 3 minutes but I let mine heat up for about ten minutes before I used it because I wanted to make sure it was good and hot. 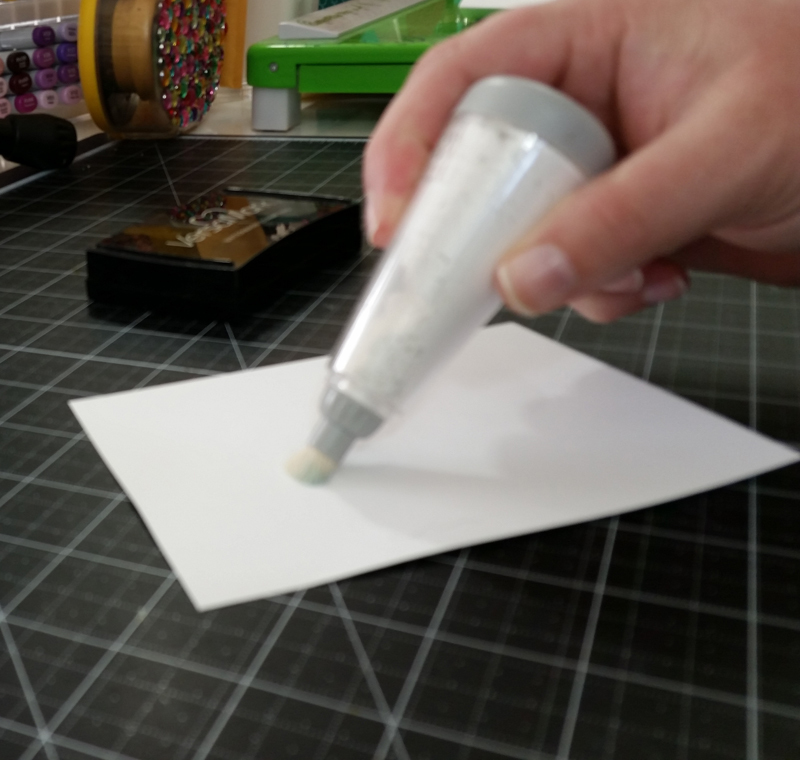 Prepare your cardstock surface with the powder tool, this is VERY important because any place that embossing powder sticks to, will end up with foil on it! 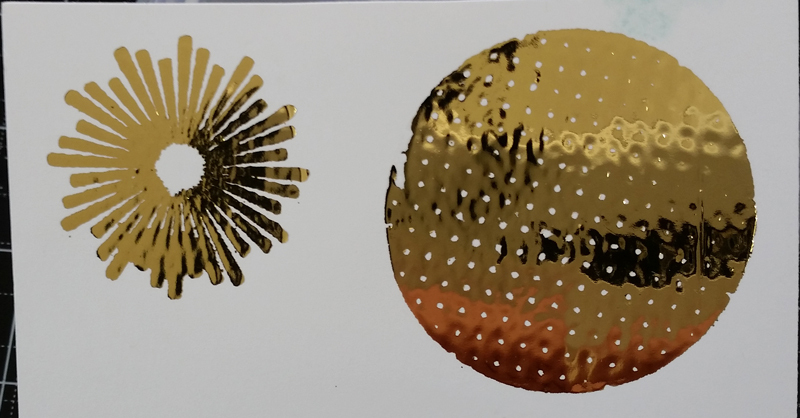 Stamp your image using Versafine or embossing ink and emboss it. 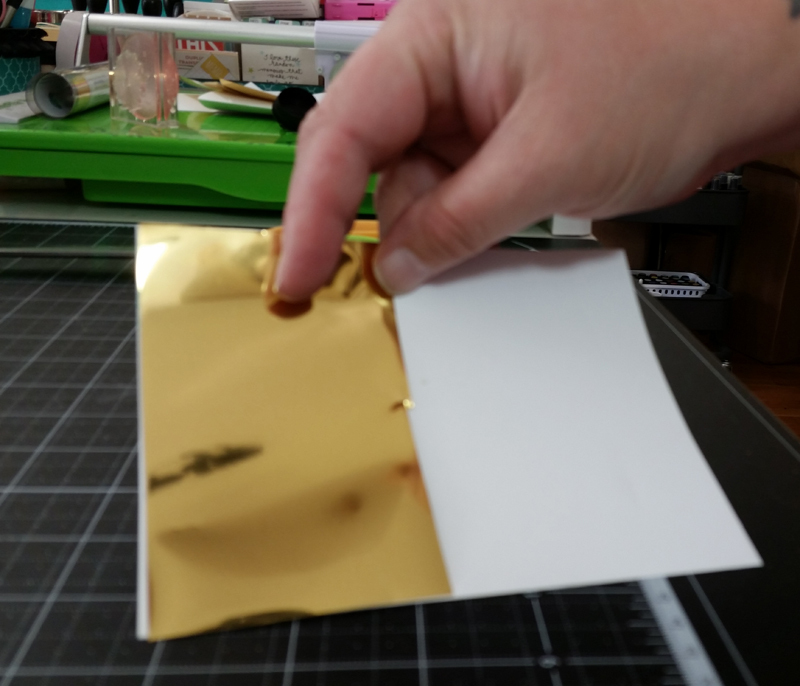 Cut a piece of foil and place it over your stamped image. Run it through the laminating machine. Depending on your machine, you may want to do it twice. Now some laminators tell you to use a carrier sheet but I didn’t because the foil doesn’t stick as well. Here is the result of the two stamped images. 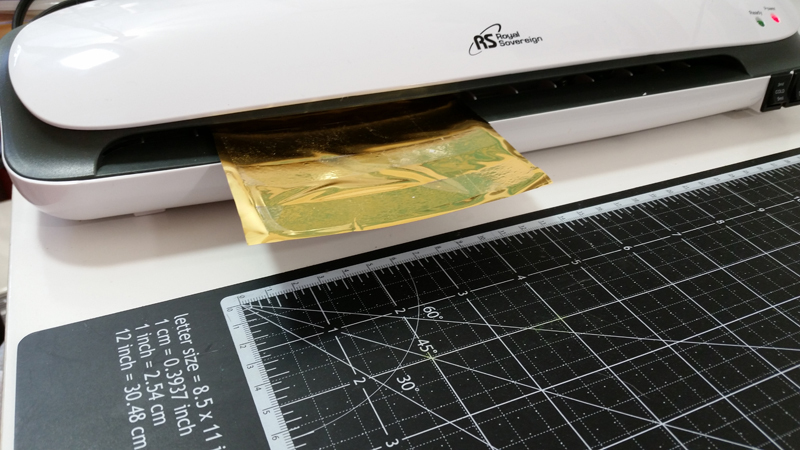 However, if you want to use a carrier sheet, you can just use a piece of copy paper, folded it in half and run your stamped image through the laminator inside of the folded paper. 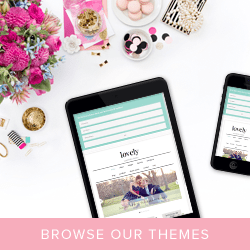 Now let’s talk foiled die cuts! Cut a piece of cardstock big enough to fit my die and pressed the versamark ink pad all to provide full coverage of the embossing ink. Embossed the entire surface of my cardstock with clear embossing powder. Ran the cardstock through my laminator with foil on top. Die cut the word out of the foiled cardstock. To watch in HD click here. 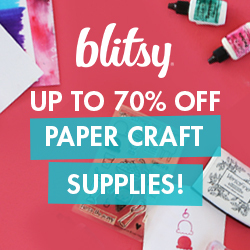 Popping in to Share a Sale With You! Great video, thanks for all of the tips!